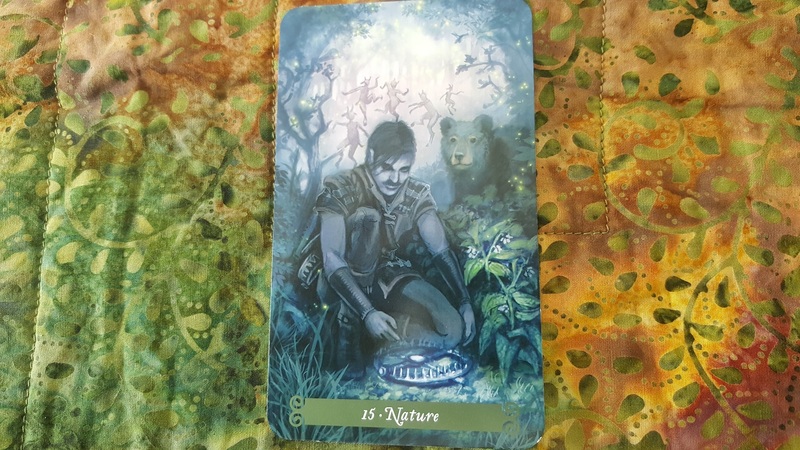 As we celebrate this day of purification and new beginnings, the Nature card from the Major Arcana is inviting us toward choice. Do we accept or release self-imposed restrictions? Do we follow our desires or inclinations toward their outcome (positive, negative, or neutral). Is the potential for a new beginning obstructed or unleashed by the decisions we make? Nature is a card of paths chosen which may be full of joy, unrestricted access to unleashed potential or the potential for unseen dangers and traps. We cannot know for Nature is wild and unexpected. We are invited to make the choices and follow where the path may lead. We are invited to grow along the journey and live in peace with that which is unpredictable. Comfrey reminds us of binding, control, and freedom from control. The Bear represents endurance, introspection, and decisions.